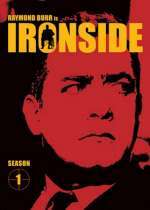 Ironside: Mystery and Suspense on Television. 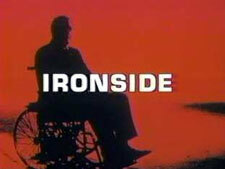 Ironside aired on NBC from September 1967 through March 1975 and included 198 episodes over 8 seasons. A made-for-television movie based on the series was aired in 1999. The pilot, which aired 6 months prior to the series premiere, set up the premise of Chief of Detectives Robert T. Ironside being shot, paralyzed and confined to a wheelchair. Raymond Burr starred as Ironside.